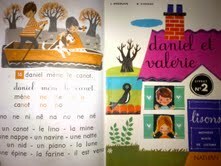 Back in retro Dubai of the 70s, I would imagine how much fun it would have been to be Daniel from Daniel et Valerie! I love classics. The charm of the 1950s and 1960s never ceases to have an effect on me. It's my favorite era, the era of Mad Men, and glamour, and beautiful furniture....Everyone looked better then, spoke better, and were charming. Women's hair was always perfectly curled or in elegant updos. Men were elegant in suits. What happened to that old world elegance?